Unlike iPhoto, where photos need to be loaded manually, Picasa allows you to work with photos right on your hard disk. It is a fast, free and easy-to-use tool. Nevertheless, for some reason, you may want to uninstall the app from Mac. Follow our guide to learn two ways of how to uninstall Picasa on macOS. How to uninstall Picasa manually. How to uninstall Picasa automatically. 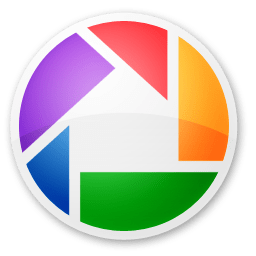 Remove Picasa from the Applications folder to the Trash. Open the Finder and navigate the ~Library folder. Go to the Application Support subfolder → Google → Picasa 3. In the Picasa 3 folder find the file db3 and remove it. *Note that if you wish to save the edited photos, export them before you remove Picasa. If you can’t find the mentioned above file, use the automatic method to uninstall Picasa from your Mac. Uninstalling Picasa with App Cleaner & Uninstaller is much easier and faster. All you need to do is launch App Cleaner & Uninstaller and find the Picasa application in the left section. When you click its icon, you will find the caches and service files information in the right section. In our case, caches take more than 40 MB. However, sometimes caches may take gigabytes of disk space. To uninstall Picasa from your Mac completely and free up memory space, just select Picasa and click the Remove button. 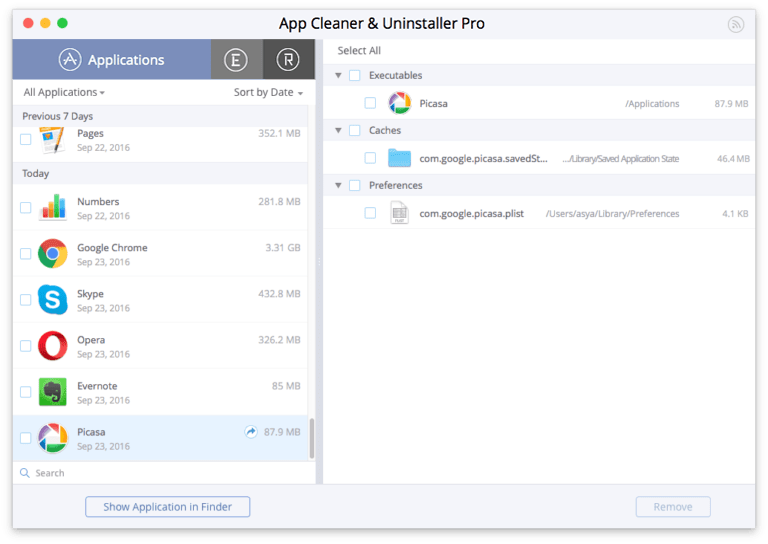 If you have trashed Picasa before in a regular way (dragged its icon to the Trash) you can find its service files as well with App Cleaner & Uninstaller. In this case, go to the Remains tab (the letter “R” in the left section) and remove the needed files.